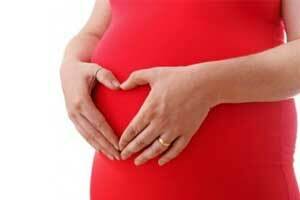 Ultrasound during late pregnancy may reduce C-Sec rate, finds a new study. In current practice, Breech presentation is assessed by palpation of the maternal abdomen, but the sensitivity of this approach varies by practitioner. According to a new study, late pregnancy ultrasound eliminates the undiagnosed breech presentation of babies, translating to improved clinical outcomes, lower rates of emergency cesarean sections (C-sections), and perhaps even lower healthcare costs. By conducting Ultrasound at 36 weeks of gestation, undiagnosed breech presentation in labour could be avoided, lowering the risk of morbidity and mortality for both mother and baby. In the new study, researchers performed research screening ultrasounds at 36 weeks’ gestation in 3879 women having first pregnancies in England. A total of 179 women (4.6%) were diagnosed with a breech presentation by the research scan. However, in over half of these cases (55%) there was no prior suspicion that the baby was presenting in the breech position. Making the diagnosis at 36 weeks allowed women to opt for an attempt at turning the baby, called an external cephalic version. For the women who declined this procedure, or where it was unsuccessful, a planned caesarean section was arranged. None of the women opted to attempt a vaginal breech birth, which is known to be associated with an increased risk of complications, particularly in first pregnancies. Across the UK, the analysis estimated that routine scanning could prevent ~15,000 undiagnosed breech presentations, more than 4,000 emergency caesarean sections and 7 to 8 baby deaths per year. If a scan could be done for less than £12.90 then it could be cost-saving to the NHS. This could be possible once midwives are instructed how to perform the simple technique, using inexpensive portable equipment.